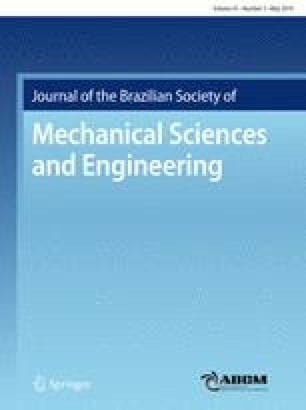 This paper deals with a novel integrated parametric optimization in end milling of Al–SiCp metal–matrix composites using carbide tool. Fuzzy logic modeling combined with particle swarm optimization (PSO) technique is applied as intelligent optimization methodology to obtain optimal process parameters in end milling process. Fuzzy rules-based surface roughness prediction model is developed with SiCp percentage as one the input parameter is addition to spindle speed, feed and depth of cut. Comparison of fuzzy rule model predictions with confirmation data sets showed 95.44% average prediction accuracy. The effect of process parameters on surface roughness is also studied. Analysis of variance established feed rate as the most significant process variable with 69.93% contribution followed by SiCp (19%) and spindle speed (9.73%), respectively. The integrated PSO optimizer optimizes the process parameters for an objective to minimize the machining time satisfying desired surface roughness to be obtained. A number of problems with different values of desired surface roughness are solved and algorithm converged in less than ten iterations. Authors acknowledge the sincere effort of anonymous reviewers for their constructive comments and valuable suggestions in improving the manuscript in the present form. Special thanks to the Editorial team of this journal for their kind support extended throughout the publication process.